Whether you want a traditional timeless look, a destination experience or something high fashion (or high adventure! ), we can create the perfect session for you. Welcome to my enchanted world! Fairies exist, mermaids can be found and princesses do the rescuing. We can create any fairytale that you can imagine. Commissioned art pieces created using a unique light painting technique. We utilize LED lighting and multiple images to create a larger than life portrait. Whether you play football, tennis or run cross country, we create the coolest, most badass Sportraits in the county! We offer in studio, on location and composite options. Step back in time to a world of fairies and princesses, magic and miracles, pixie dust and more! Our Fairy Portraits are not like regular sessions. 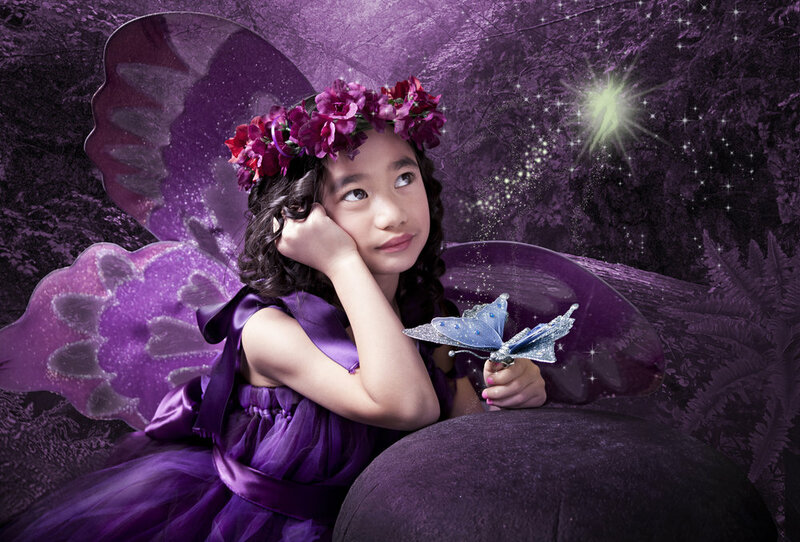 We have all the props, wings and everything needed for some mystical and magical fairy portraits…. you just bring the magic! For the senior that wants the very best. everything from high fashion to high adventure. For the both the hobby collector and the true classic automotive connoisseur, our light painted portraits are a thing of beauty. Let us create a piece of art that is as unique as your baby. These commissioned art pieces are available on both high definition metal and hand crafted acrylic wall art handcrafted in Italy. Whether you are a senior having a Destination package, a child living out a Fairytale, a family wanting something more special than the usual, boring images or a car collector creating art of your favorite toy, every session with us tends to be an adventure.